Pumps are considered to be at the heart of various water applications in the industrial, governmental and residential sectors. Although an important device, in most cases, the real value of pumps and the efficiency they can deliver are often overlooked. Gone are the days where it was merely a ‘plug and play’ pump application; with the advancement of disruptive technologies, the pump market has entered a new dimension. Balagopal Nair, Marketing & Business Development Manager, Faisal Jassim, says that owing to aggressive development in the region, the growth in the pump market continues to spike up. Government stimulus programmes constitute another driver. They encourage end-users to invest in retrofitting their existing pumps with energy-efficient solutions, which would subsequently augment innovation and technology development in pumps. 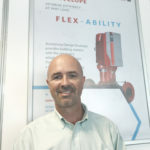 Adding that disruptive innovation is playing a significant role as a market driver, Peter Robinson, Area Marketing Manager ,Grundfos, stresses that the value of the pump is influenced by the technical knowledge of the market. “As people understand pumps better, they become better at measuring the true value of pumps,” he says. 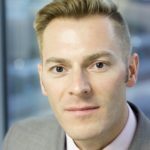 “And innovations like the ‘intelligent’ pump, fitted with digital sensors and with an ability to communicate to connected systems, have become a new trend in the market. He also believes that with proper analysis and engineering, renewable energy-powered pumps could dictate the future of the industry in the GCC region. Other market influencers are government initiatives, such as the Dubai Integrated Energy Strategy 2030 (DIES 2030), which Nair says, has placed the demand for efficient and sustainable pumping solutions high on the cards. 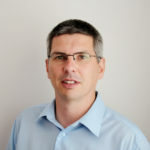 Other players, like Kevin Laidler, Sales Director, Middle East & Africa, Armstrong Fluid Technology, also believe that programmes like DIES 2030 are motivating manufacturers to ideate and develop efficient solutions. “Our strategy for pumping will offer owners up to 70% energy savings if our pumping technology is implemented,” Laidler says. Sharing a similar view, Nair elaborates that the actual ramp-up towards EXPO 2020-related activity might only accelerate during the third quarter of 2018, mainly in construction projects, and that is when the cashing in can begin. The UAE has also created retrofit opportunities for the pump vertical, allowing companies to offer servicing or upgrades to existing equipment. Nair says that the potential for the retrofit market is commendable, especially for new enhanced pumping systems and solutions, with improved energy efficiency and sustainability characteristics for the retrofit of existing buildings. “The retrofitted equipment will have less maintenance cost and, hence, longer service life, reduced energy consumption and increased system availability,” he says. Robinson also believes that the retrofit market is a game changer. He says that energy-based retrofits constitute the new big thing and, in most cases, the savings compensate the cost of retrofitting in just a few years. This, he says, has led to a positive response from the market. He also points out that retrofit approaches offer immense savings to the customer in the long run. Citing reasons why pumping stations have flawed designs, Wilson says that contractors cause the problem, when they are trying to drive on the price and cut corners. And when such corners have been cut in the past, he says, the price is paid in the long run. Pricing has always been a dictating factor in the pump market. As Robinson says: “Contractors push to procure the cheapest components under the shortest period. The purchase price of a pump is around five per cent of its life cycle cost, whereas energy consumption makes around 80-85%. Other players like Laidler believe that while his company offers innovative solutions, which conserves energy, the market is currently focused on low- cost, cheap installation, and the issue of energy efficiency is on the back-burner. 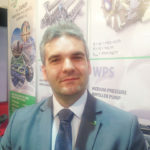 Explaining how the challenge can be countered, he adds that pump manufacturers and suppliers must offer complete solutions, which would add a competitive edge in the commercial pumps market, as opposed to merely focusing on selling their products. Working with clients to offer customised solutions, he says, is a key element to the competitive edge. The other challenging factor that plagues the pump industry, Nair says, is the reverse engineering in the aftermarket sector and the availability of counterfeit brands, which will question the reliability and trust in the pump industry, if not properly addressed. Kaletka points out that apart from oversizing and over-specifying, there is the challenge posed by wrong installations, owing to flawed drawings. He believes that some contractors sometimes wrongly carry out the installation of the pumps and cause further problems, as a result. To counter the issue, he says, his company closely works with the contractors and clients to educate them about proper installation practices. Stakeholders like Wilson and Kaletka believe that to develop a pump to meet energy-efficiency requirements, it all has to start from the design stage and extend to proper selection of raw materials and, further, to properly maintaining high-quality manufacturing standards. Such practices, they say, ensure the longevity of the pumps. They also believe it is critical to reduce the carbon footprint during the manufacturing process. From a supplier’s perspective, it is all about evaluations and inspections, says Nair, who emphasises that his company conducts supplier evaluation for the raw materials used, inspection of incoming material against the purchase order for quantity and quality and in-process material inspection during the production, followed by the final inspection. While the market offers ample opportunities for the pump industry, it cannot be limited to merely manufacturing and supplying the products. 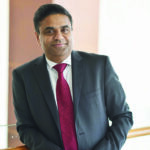 As Nair says, it should include “customised solutions with a competitive edge”, which need to be offered to navigate through turbulent financial climates. All stakeholders also believe that disruptive innovation will play a key role in driving the energy-efficiency meter.